Yes, it's the end of the season and I've fallen short once again to write as much as I would like (or promised). Maybe I'll get to the Brier Part II mentioned here. The first ever Match Play event provided an opportunity for new strategy and subsequently new analysis, but my first draft still is little more than a title (and not a great one either). I managed to provide a brief glimpse at the Women's World Championship, but even that wasn't the length or depth of my usual output. There's probably no chance of catching up. I promise to revisit the Match Play next year as a lead-up to the second annual event. From what I've read on CurlingZone, many want to forget it even took place. I'm not convinced it's the highest quality product in the game of curling, but I found it interesting to watch teams thinking through new decisions. If we can have singles and skins in the Continental Cup, no reason we can't have a Match Play format to mix things up. With even more Slams coming in future, maybe we need a few more ideas. The last two games from the Brier were fascinating and had plenty we could examine closer. The semi-final was an entertaining mess of a battle, with strange turns throughout. The finals is likely in the top 5 all time, if not top 3. I'll try to get there eventually. I went LIVE to the Canadian Senior's Championship, hosted at the Thistle in Edmonton. 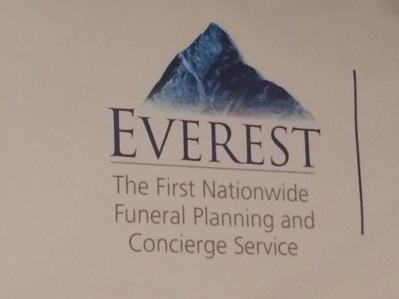 No commentary, but a photo to share, the logo of the title sponsor. I can't recall the last time I've seen event which was so well matched to it's main benefactor. Almost makes you look forward to the end. The weekend of the Men's Worlds also put on a wonderful display of drama, heartache and elation, though maybe not the best play we've ever seen. I'd like to look a closer Team Canada during the semi-final and see if they lost focus, altered their game plan, verbally sparred beyond their comfort, or simply played poorly. Canada and Team Jacobs finds themselves again in the 4th spot, without hammer, identical to their position at the Tim Horton's Brier. (Spoiler Alert), they win this game and the subsequent semi-final against Scotland to make the finals, where they lose to Sweden. It is still an incredible feat considering they played 6 playoff games, against the strongest teams at each event, without hammer, second choice of rocks, and managed to come up just a few shots short of being crowned World Champions. If you consider teams to be of equal calibre, hammer should win roughly 60% of the time. So, if we consider Jacobs equal with Howard and Stoughton (and I expect some people might at this point), and with Denmark and Scotland (debatable perhaps with one of those non-English speaking teams) then their chance of even getting to the World finals following the Brier Round Robin was about 1%. Yes kids, 1% or +990. This article will not debate the merits of having relegation. There are discussions elsewhere for that and I for one struggle with both sides of the argument. This article will instead examine the case of how best to implement relegation with 14 or 15 teams vying to compete in a 12 team Brier or Scotties. Firstly, let’s establish the tie-breaker process of cumulative draws to the button is ludicrous and should be scrapped. I hope there is no argument with this statement. If you are still unsure, I will break it down quickly for you. In a 3 team Round Robin (RR) there are 2 of 8 scenarios where teams are tied at 1-1. Calculating estimated outcomes based on strength of team does adjust the number slightly but I still came up with a roughly 24% chance. This means nearly 1 in 4 times they run this type of qualifier, a team will be leaving the Brier because of draws to the button. This is bad enough; however, in 6 of 8 scenarios (every time a different team wins the first two games) a greater risk exists. Depending on outcome of the draws to the button, the final game may not matter and does not need to be played. There is no place for that type of situation in the Brier and unfortunately, the odds of it happening are much higher than some might realize (I estimate nearly 15% chance from the start of the Pre-qualifier). Tie breaker aside, the fundamental issue with relegation is the outcome of only 1 spot. I believe this will become a deterrent to several organizations and will decrease interest in curling and improving the level of play, rather than the original intent of increasing focus and participation. When Marvin Miller negotiated with Major League Baseball to create a free agent market, MLB owners fought hard to limit the number of free agents that would be available in any given year. Surprising that these moguls of the business world never realized the negative impact (to them) of supply and demand. The players at first rejected the idea; they all wanted to be given the same freedom to negotiate on an open market. Marvin was able to convince them that by having limited talent in any given year, demand would increase and salaries would increase for all, not just free agents. 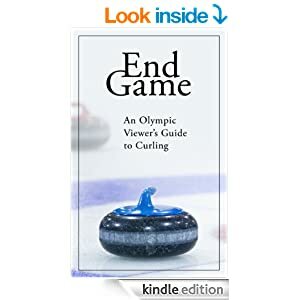 It’s my understanding Curling Canada originaly proposed 2 teams to be relegated each year and that this was voted down by the curling member organizations and reduced to a single team. If that is the case, this is short sighted thinking by all of these institutions. I believe the Brier, Scotties and curling in general would benefit by having a two or better yet, three team relegation rather than single. If Nunavut participates (and one day they will, otherwise this has all been a mess for no good reason), this would produce a 6 team pre-qualification for 3 spots, rather than a 4 team play-off for one. You could make a case for even 4 or 5 teams to be relegated but that would create some danger, with multiple tie-breakers in a given event, that nearly every team not making the play-offs would be relegated. For example, in this recent Brier, if Saskatchewan had lost their final RR game to BC, 7 teams would have been in a tie-breaker or play-off and 5 teams would be left out. If you consider that Team Canada will never be relegated (the winning team is invited back each year) and the host team is always given an entry, you could have a team that makes a tie-breaker be relegated, and that makes no sense. Looking at the current structure, there are several issues that having only one qualifier creates. Firstly, the fan interest is smaller. With only 4 teams, and 2 or 3 from the north for the immediate future, interest in the games themselves will be limited and TV is not likely to have any interest. Having just 2 more teams, possibly from more populated provinces, could greatly increase fan interest. For example, this year Manitoba would be relegated under this format. I understand how this might anger Manitoba curling, but is there any doubt the Buffalo rep in 2016 would easily move through a 6 team qualifier for 3 spots? And the drama and excitement of the pre-event would be must see TV for curling fans. Secondly, with only a single qualifying spot each year, struggling provinces and territories may lose interest and become less focused on trying to gain entry. If the Brier continues with a single qualifier for the next decade, it’s very likely Yukon, NWT and certainly Nunanvut may go several years (or never) without gaining entry to the Brier. In the extreme but possible case where a Jacobs, Gushue or Adam Casey were to win the Brier, and their provincial rep the following year were relegated, the following year pre-qualification (should those teams not repeat as Team Canada) would be much less competitive. Either of the Brads would likely steamroll their competition and with only one spot available, teams may feel defeated before even showing up, assuming they decide to show at all (I’m talking about you again, Nunavut). With NWT relegated this year, having a single qualifier has moved the old Territories Playdowns to an expenses paid, arena ice event, that will always include a 4th team, one that is more likely to win each year (especially in the scenario described above). This may have the effect of killing competitive curling in Northern Canada, what I thought was the opposite intent of relegation in the first place. Yes, adding other teams which are likely stronger may simply mean the northern teams are still unable to qualify, but adding spots creates that much more opportunity for upsets and for teams to have a chance, and isn’t that what they wanted in the first place?. This also has the potential to create more juggling each year. A struggling province or territory may get in 2 or 3 times over a decade, rather than never. This has to benefit curling in that member organization, and considerably more than an established province like BC, Manitoba or Saskatchewan would be damaged by not qualifying for the RR at the Brier for 1 or 2 years out of 10. Yes, this might scare some fans, sponsors, TV networks and even Curling Canada. No Manitoba at a Brier, that’s unthinkable! I can hear it now. But this format would allow MB a much greater chance to return the following year. For example, if MB was relegated this year (as they would be under my suggested changes), and Mike McEwen was finally able to come out of Manitoba, there is a slim chance of them being upset in a small format event with only one spot but (given current talent levels) virtually none (or an infinitesimally smaller chance) in the example of 3 spots. I also prefer a bracket style playdown format rather than a round robin. With 5 or 6 teams a round robin may not be feasible. Also, this eliminates the need for draws to button for tie-breakers. Sure, everyone loves a round robin, but fans don’t seem to mind the structure of the Olympic Pre-Trials, aka Road to the Roar. Isn’t this pre-Brier trying to accomplish the same thing? I’m open to other ideas, like running the event earlier than the Brier (again, see Olympic Pre-Trials). This gives time for fans to make travel decisions and also create a separate TV event and generate additional dollars. CurlingZone’s Gerry Geurts mentioned to me that maybe these relegated teams wouldn’t draw well, but if 600,000 people can watch a meaningless Bronze medal game, I have to think at least some eyeballs would be drawn to an elimination battle between teams with so much more at stake. I’m not so much in favour of adding additional entries (based on CTRS for example), or carving up the country into zones, such as the Maritime Playdowns producing 2 teams rather than 4. But I do enjoy the open discussion and who knows, one day that type of structure may be used, so we better be prepared. More changes may yet come to these historic events. I’m open to ideas and thoughts, but will argue adamantly that if relegation must continue, than a single qualifier event is too limiting, it’s unfair to all and stifles growth and hurts curling across the country.